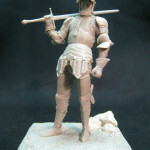 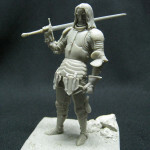 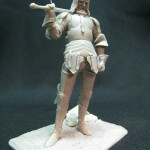 Mercenary knight with Italian type Amor in mid XV Century. 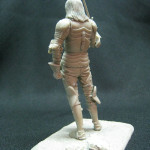 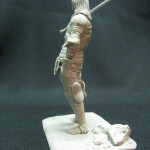 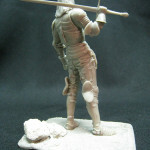 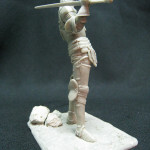 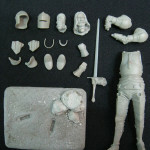 Resin figurine 75mm. 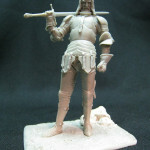 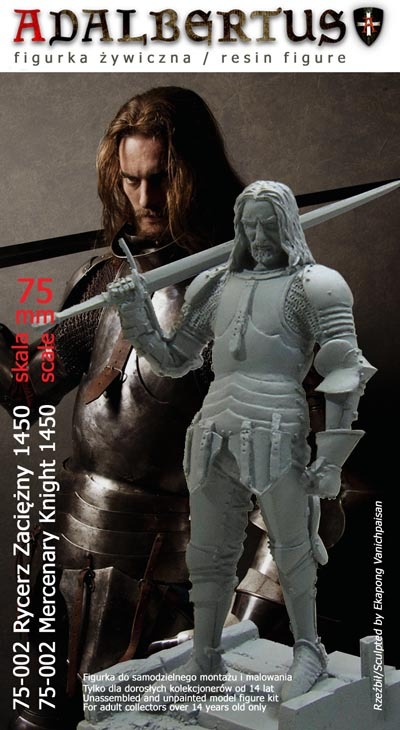 It represents mercenary knight from Poland, Bohemia or Germany in thirteen years Polish and Prussian states war against Teutonic Order 1454-1466. 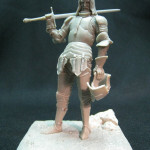 It was the first war that Polish levy of nobility played minor role. 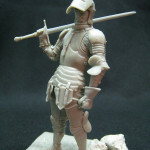 Prussian States paid for mercenaries to fight their former Teutonic Order lords. 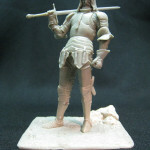 Also Polish King Casimir preferred to use soldiers as they were more disciplined than nobles.